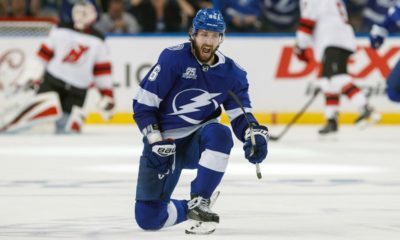 As the NHL regular season waves the holidays goodbye, one thing remains the same, the Tampa Bay Lightning continue to run the league. 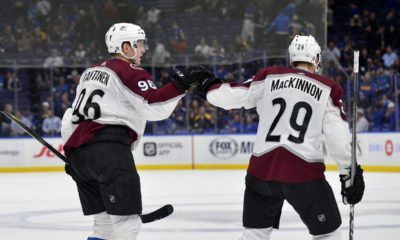 Still only one of two teams without double digit losses, the Lightning lead the league in points (58), wins (28), and still have not loss double-digit games this season. 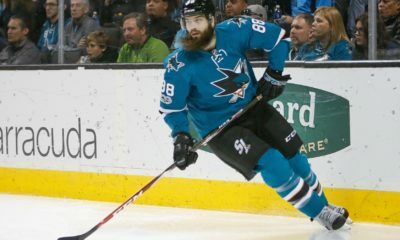 As the calendar turns to 2018, the NHL season begins to take center stage and the contenders start to distance themselves from the pretenders. 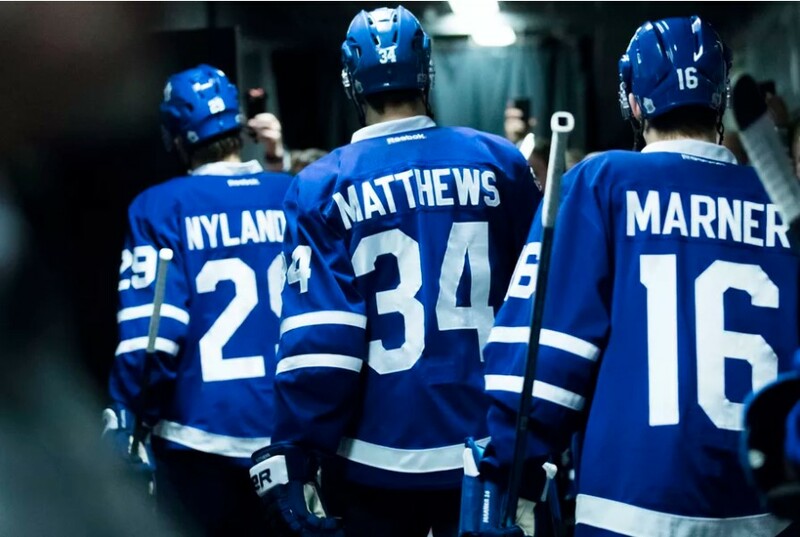 Post Christmas, the Maple Leafs went 1-2 with their lone win over the lowly Coyotes. Goaltending continues to be questionable for the Leafs, as Frederik Anderson gave up ten goals in his two starts, while Calvin Pickard gave up four goals in between Anderson’s starts. It won’t get much easier for the Maple Leafs, as they take on the Lightning, Sharks and Canucks to get the new year started. The Blues also went 1-2 post Christmas, with their only win over the Hurricanes on home ice. The Blues continue to struggle to score goals without Jaden Schwartz, as they scored just six goals in three games last week. The Blues will have a heavy week, playing four games against the Devils, Golden Knights, Flyers and Capitals. The Bruins went 2-1 last week, with two wins over Ottawa, and they have now won six of their last seven. Goaltender Tukka Rask has been revitalized, as he didn’t allow more than three goals in a game during the month of December and allowed just three goals once. The Bruins will also have a four-game week, as they take on the Islanders, Panthers, Hurricanes and Penguins. The Capitals went 2-1, with wins over the Bruins and the Devils. Braden Holtby has been leading the Capitals, as he has won six of his last seven and has not given up more than three goals in a game. The Capitals will play just two games this week against the Hurricanes and the Blues. The Jets went 3-0 this past week, with wins over the Islanders and the Oilers twice. The Jets looked primed for a dip in production after losing Mark Scheifele for 6-8 weeks, but they have scored 13 goals in their past three games without him. The Jets will look to keep the pedal to the metal, as they have a three-game week against the Avalanche, Sabres and Sharks. The Devils went just 1-2 this past week, with their lone win over the Red Wings. After winning five in a row, goaltender Cory Schneider hit a bit of a rough patch, giving up nine goals in the two losses last week. The Devils will look to get going again with a three game week against the Blues, Stars and Islanders, all on the road. The Kings had an even slower week, playing just two games and going 1-1, with a win over the Canucks. After going through a bit a rough period, Jonathan Quick has righted the ship, as he hasn’t given up more than three goals in the past five games. The Kings and Quick will look to find their consistency again in a three-game week against the Oilers, Flames and Predators. 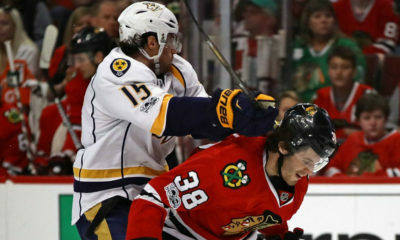 The Predators continue to be one of the more consistent teams in the NHL, going 2-1 with wins over the Blues and Wild. The Predators have one of the best goalkeeping duos in Pekka Rinne and Juuse Saros, as they have given up just two goals in their past five wins. The Predators will have a three-game week on the road, as they take on the Golden Knights, Coyotes and Kings. The Golden Knights can’t seem to lose right now, as they have won seven in a row and 11 of their last 12 while also going 3-0 this past week, with wins over the Ducks, Kings and Maple Leafs. Since going on this massive winning streak, the goaltending of the Golden Knights has been amazing. Marc-Andre Fleury and Malcolm Subban have not given up more than three goals in any game. The Golden Knights have a four-game week against the Predators, Blues, Blackhawks and Rangers. The Lightning are the most consistent team in the NHL. They have won 11-of-13 and went 2-1 last week, with wins over the Canadiens and on the road against the Blue Jackets. As good as the offense has been this season, Andrei Vasilevskiy has been as good as any goalie in hockey. He has two shutouts in the past three wins and leads the NHL in GAA (2.02), SV% (.935), and Wins (25). The Lightning have a tough four-game week (all on the road) against the Maple Leafs, Candiens, Senators and Red Wings.